Here’s the latest edition of our popular newsletter. 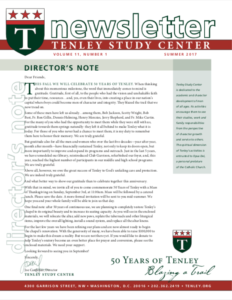 In this issue we are celebrating 50 years of Tenley! Read about the return of Club Garrison, a recent trip to Vermont, and our Director’s reflections on the impact that many people have had on Tenley as well as Tenley’s impact on numerous young men.